A freind of mine his hosting this event (see link). I'm not sure it's appropriate to post, so I'm putting it on my FF Blog. 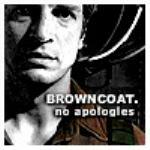 "Castle" Nathan bio -- no FF mention??? W-T-F !!! Keep Voting For NASA to name Node 3 Serenity!! There is a free itunes download with Joss Understanding Dollhouse episode 1. Go check it out. Updates in the "Keeping On 'Verse"
My first one of probably many. I like this place. I put up a fanfic already (2 actully same thing; copy error) that i would some feed back on. Where i can find brown coat patches for costumes and what not. Ebay has a few but i want to know if there are any more reputable places. New Bedlam Bards Album Available Now!